LONDON - October 24, 2018 – Today, Netmarble Corp., released a huge update to the popular massive multiplayer online role playing game (MMORPG), Lineage 2: Revolution, including an all- new playable Orc race with unique class mechanics, an increase in max level, a new territory and more! 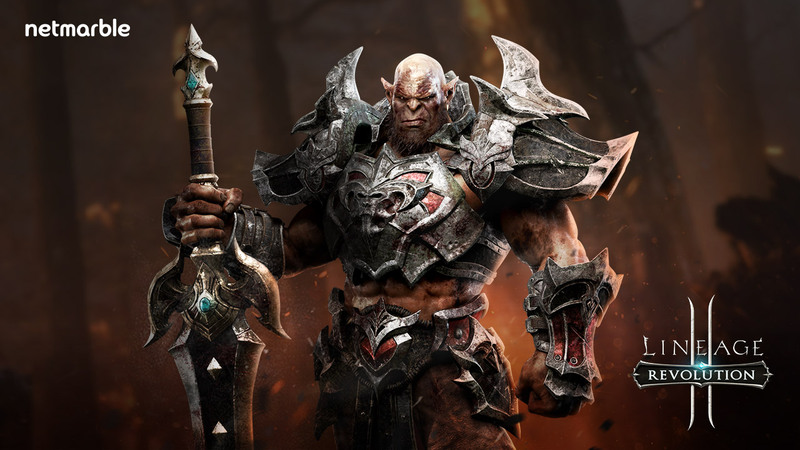 Playable Orcs have been added to Lineage 2: Revolution with their own unique class mechanics that separate them from the existing races in the game. Players can choose from three different Orc classes including Orc Raider (Warrior), Orc Monk (Rogue) and Orc Shaman (Mage). Orc players will have a new starting location – The Southern Immortal Plateau, begin at level 180 with 500,000 Combat Power and will be rewarded a set of SR grade weapon, armor, and accessory. Orcs will use different weapons from the four existing races including Orc-exclusive claws, two-handed swords and wands. With the new Orc race, new Orc-exclusive quests and fields have also been added. Faster leveling-up will also be an added benefit due to growth boosting events where items such as EXP, Adena, and equipment will be rewarded at each level, from level 180 up to level 260, achieved by characters. With the addition of Orcs, the max player level has been expanded to level 320 and a new territory, Avento, has been added along with expansions to Main Quests, Weekly Quests, and Sub-Quests. Avento consists of three regions – Dragon Valley, Promised Land and Ancient Dragon Mountain Range – where 12 new Monsters and 21 new Monster Cores await players.